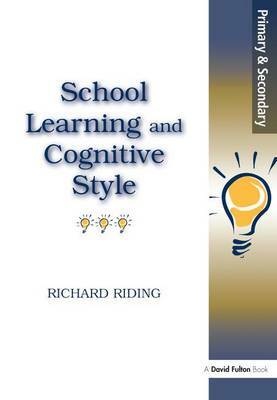 This book provides an accessible approach to teaching strategies that will improve the quality of student learning and behavior. The author advocates that the key to effective learning, and therefore the key to a successful school, is not complex management systems but good quality teaching. With this aim clearly in sight he incorporates recent psychological developments on individual learning differences with practical classroom applications. He presents new approaches in three key areas: processing capacity, cognitive style and understanding the structure of knowledge. These are central to the understanding of pupil differences. They affect our perception of how pupils can be helped to learn, why pupils find some aspects of their schoolwork difficult, and why pupils behave as they do. With simple explanations and practical activities this book will help both primary and secondary teachers to improve pupils learning and help them to manage behavior more effectively. The new insights into difficult behavior will also be of interest to counselors and educational psychologists.